Daredevil will be introducing another character from the Marvel comic book universe in Season 2....Stephen Rider (Lee Daniels’ The Butler) will be joining the Netflix superhero series as a new regular. He will play Blake Tower, a District Attorney for New York City who helps Charlie Cox’s Daredevil. He will play Blake Tower, a District Attorney for New York City who helps Charlie Cox’s Daredevil. And we've got our first glimpse of Elektra. ^^^it was removed by the user, was it copyright restricted? No idea. It's up again on CBR's youtube channel. However, I changed it to a DaredevilTV link, which has got a working trailer video. Daredevil airs a week earlier than the rumored release date. The rumored date was the same day as Batman v Superman. This image is too large so I'm linking to the image! 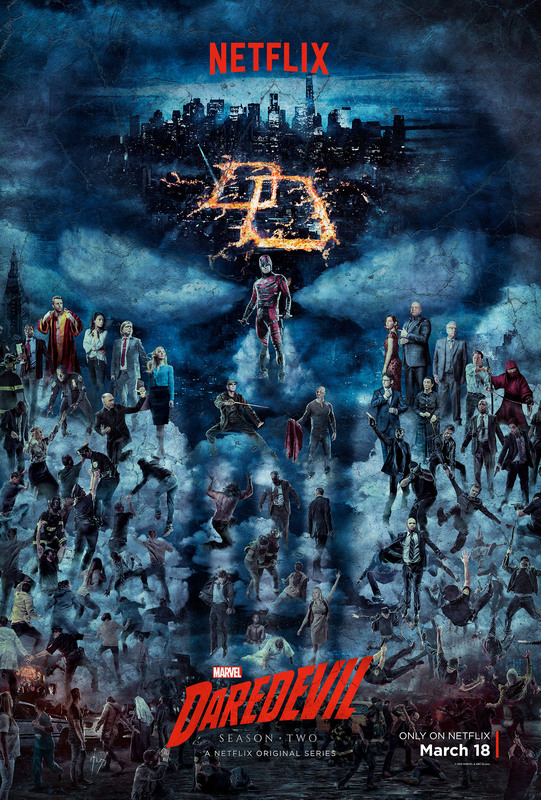 Interesting picture, promotion for season 2 but only images (as far as I could tell) of season 1 characters, many of which have died. I sort of wish they had kept their rumored release date but that's more my Marvel fanboy superiority shining through. Honestly I think it's much smarter moving it forward a week, people can watch it first and then go see what DC has to counter with or, if there is a comic movie fatigue starting to creep in, then get the viewers with the 13 hour series before they get overloaded with BvS. On the other hand, Daredevil could also be a good rev up for fans by getting hyped on a second stringer like Daredevil just before the big boys (Batman and Superman) come out to play. I don't love the way they're shooting Punisher. They make him look small in some shots. Otherwise, looks fun.